We have an intimate chapel that can accommodate up to 75 people on our campus. 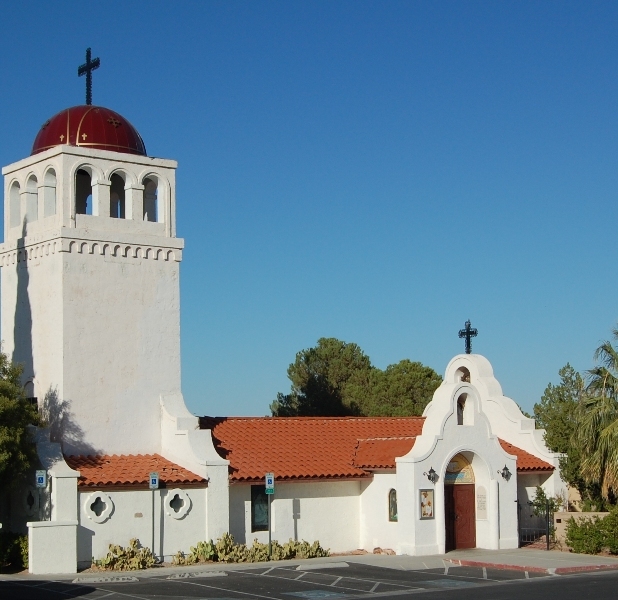 The chapel resembles a Spanish-style mission with hand-painted murals throughout and is available for weddings, funerals, baptisms or quinceaneras. Brides and grooms are allowed their own preparation areas and guests can socialize in the beautiful grassy area outside. The venue easily accommodates photography with plenty of parking for private vehicles and limousines. The rental cost is $350 for a three-hour event and $100 for each additional hour. For more information, please contact 702-294-7100. Our chapel is open to the public 9:00 am-4:00 pm every day of the week. We have weekly healing mass on Thursdays at 12:30 pm and Sunday mass at 9:30 am and 11:00 am in our chapel. 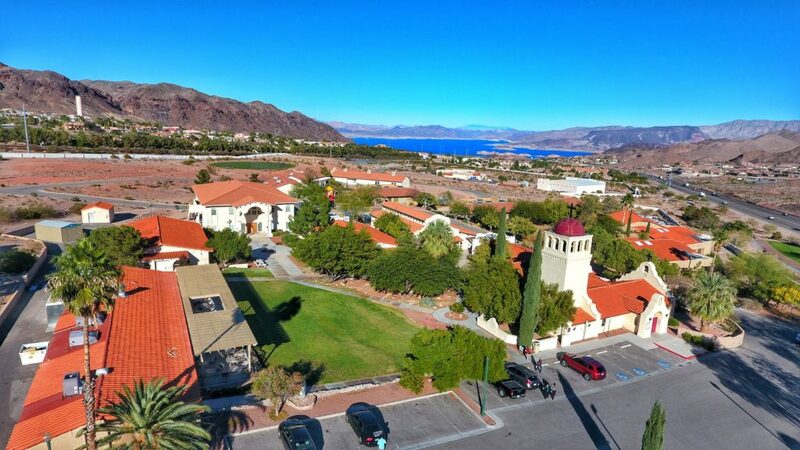 We welcome you to visit our lovely campus!